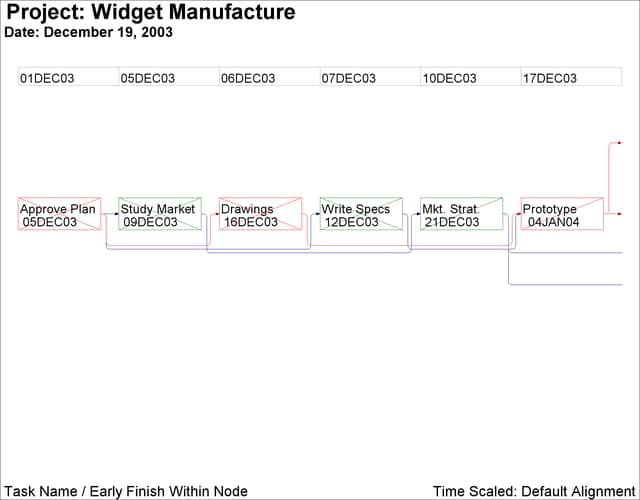 This example illustrates the use of the TIMESCALE and ALIGN= options to draw time-scaled network diagrams. 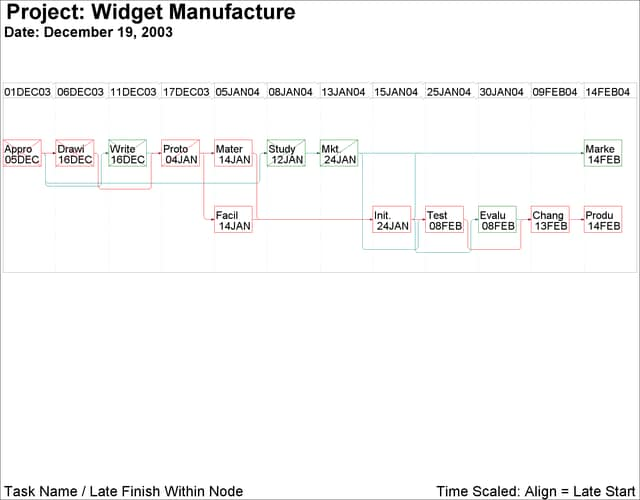 The Schedule data set WIDGUPD, produced by PROC CPM in the previous example, is used. First, PROC NETDRAW is invoked with the TIMESCALE option without any ALIGN= specification. By default, the procedure aligns the nodes to coincide with the early start times of the activities. The network spans two pages (HPAGES=2 VPAGES=1), as shown in Output 9.9.1. The HMARGIN= and VMARGIN= options add extra space around the margins. 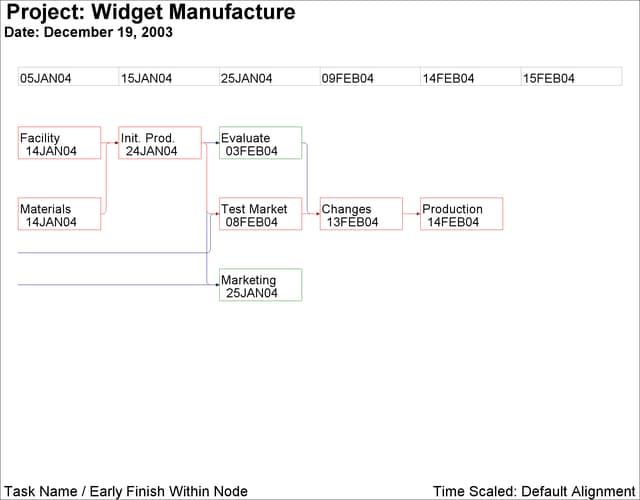 The ALIGN= option requests that the activities be placed according to the L_START times. The FRAME option produces a border around the network diagram. The AUTOREF option draws reference lines at every tick mark. The LREF= and CREF= options specify the line style and color for the reference lines. The SHOWBREAK option requests that breaks in the time axis be indicated by breaks before the corresponding tick marks.